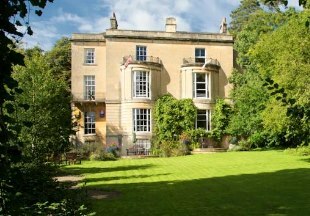 A splendid Georgian hotel set in it's own gardens just 1.5 miles from Bath city centre. Restored to provide elegance and comfort with antique furniture. All rooms en-suite, some with four poster beds. Located right in the centre of Bath and originally named Royal Station Hotel, this decidedly Georgian looking hotel was, in fact, built by Isambard Kingdom Brunel. 35 en-suite bedrooms are all recently redecorated in a traditional style, in keeping with the hotel which adds to the character and attraction of staying at The Royal while the restaurant has an enviable reputation for excellent food. 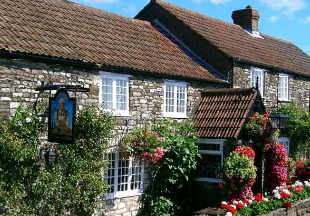 Just 10 minutes’ drive from the historic city of Bath in the beautiful Wiltshire countryside you will find the Northey Arms. 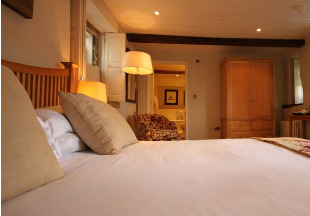 The inn has a contemporay yet cosy feel with five stylish and elegant bedrooms. The creative British menu uses fresh local produce and there is also a traditional bar which serves snacks and drinks. The M4 is just 15 minutes drive away. Welcome to the Wheelwrights Arms, just a five minute drive from Bath. Our menus include light lunches and a la carte selections. On cooler days relax with a drink by the open fire or in the garden on summer days. We can arrange visits to Thermae Bath Spa at special rates. Tickets can also be arranged for all Bath Rugby home games from September to May. Recommended by the Good Hotel Guide and Alistair Sawday. 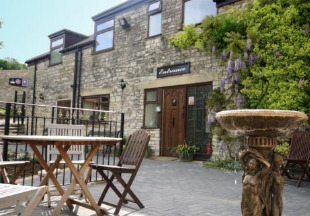 Situated just 7 miles from Bath, the Swan is a delightful 15th century coaching inn sitting next to the river in historic Bradford on Avon. Recently refurbished yet retaining its character, the inn has earned an excellent reputation for its food. Free WiFi throughout. 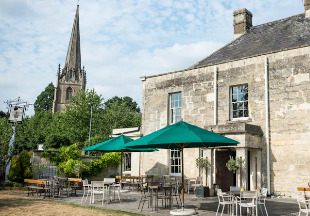 This beautiful freehouse pub boasts stunning views over the Georgian roof tops of the pretty town of Bradford on Avon, just 7 miles from Bath. Sympathetically and imaginatively restored in 2007, The Castle is at your service, whether for morning coffee, light lunch, dinner or just a pint of local beer. The interior oozes character and historic charm. Its four luxury boutique bedrooms offer contemporary opulence, blended with bags of original character. Only 8 miles from Bath, Bristol and Wells, The Hunters Rest Inn, originally an early 19th century hunting lodge, enjoys a secluded, elevated position with delightful views across the Chew Valley to the Mendip Hills beyond. The Inn offers a superb choice of menu and is the ideal venue for family celebrations, weddings and parties. 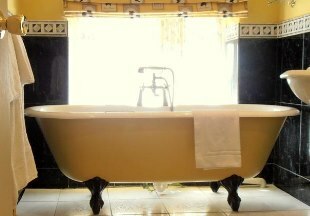 The five luxurious en-suite rooms are individually decorated and furnished to the highest standards, including a four poster suite, stunning bathrooms, direct dial telephones with data links, colour televisions and magnificent views. This tastefully furnished, 17th-century English country inn is steeped in history and packed with atmosphere and antiques. 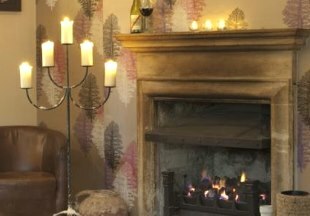 Relax by a blazing log fire, sample real ale and fine wines; enjoy creative and interesting dishes in the bar or restaurant. Our bedrooms are spacious, tastefully furnished and all have private bathrooms. Sit in our lovely garden with superb views across the fields towards Downside Abbey. 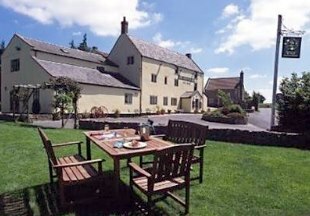 An intimate, comfortable country hotel converted from an old brewery malt house in the small hamlet of Radford on the edge of the Mendip Hills, just six miles south of the historic city of Bath. Nearby are Wells (the smallest city in England) and Cheddar Gorge and Caves. We offer 10 tastefully decorated bedrooms, all en-suite. There is a cosy lounge bar with open fireplace and a licensed restaurant offering a full a la carte menu. 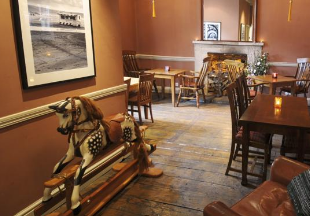 Within easy driving distance of both Bath and Bristol, the Carpenters Arms offers a traditional bar with a cosy log fire on cooler days. In warmer weather, our patio is the ideal spot for either a leisurely drink or al fresco dining. There are two dining areas serving our tempting menu of irresistible starters, mains and puddings. En-suite accommodation is available at the Inn with 12 gorgeous bedrooms, all recently refurbished in a stunning contemporary style. One of the most popular tourist destinations in England, Bath is a World Heritage Site. The Romans knew the city as 'Aquae Sulis' and its famous Roman baths are still open to the public. Jane Austen mentions the Grand Pump Room in her novels; it was the centre of Georgian entertainment in Bath, and visitors can have afternoon tea there today. Bath is also famous for its Georgian architecture including the elegant Royal Crescent. Another must-see sight is Pulteney Bridge, modelled on the Ponte Vecchio in Florence. This beautiful bridge is one of a handful in the world with shops built into it. Traffic in Bath can be very heavy, so public transport or Park and Drive is the way to go. Or maybe a taxi if your chosen hotel or inn in Bath is not too far out of the city. 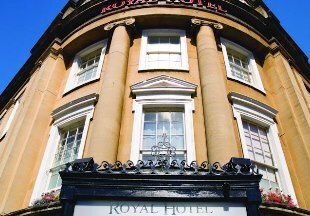 "If you want to be based in the centre of Bath, the Royal Hotel is situated opposite Bath Spa Station, within walking distance of all the main sites. Built in Georgian style, the hotel was designed by the famous architect, Isambard Kingdom Brunel."